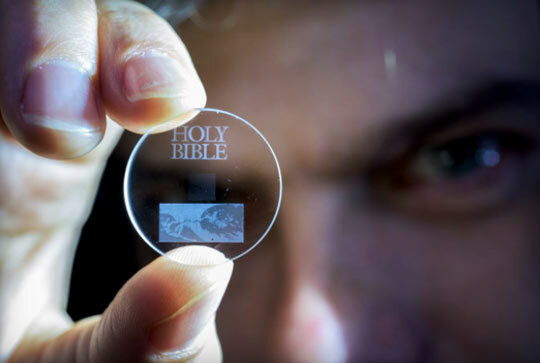 This one-inch 5-dimensional data storage glass disc contains the King James Bible. A 5D glass disc the size of a 128-gigabyte Blu-ray can store 360 terabytes of information. So the 5D glass disc could store 3,000 times more than the Blu-ray disc. Image by U. K.'s University of Southampton.